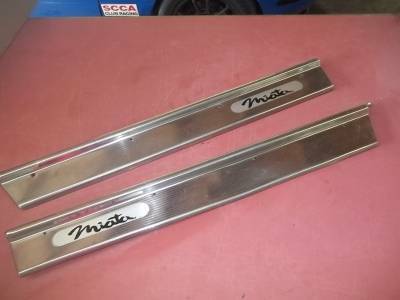 Description: Pair of door sills that go underneath the door. 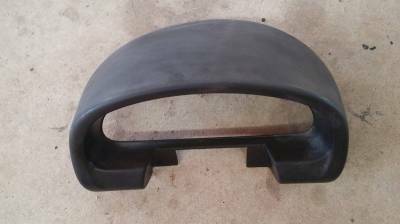 fits '90-'97 Miata. Comes in stainless steel, good condition. 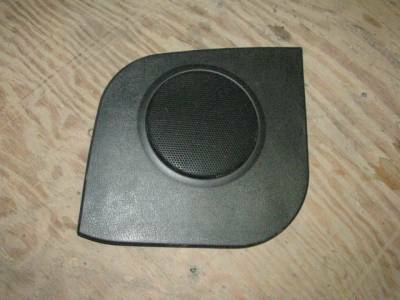 Description: Black Speaker Cover fits '90 - '97. Please specify side. DRIVER SIDE VERY SELDOM AVAILABLE. PLEASE INQUIRE/EMAIL FIRST. 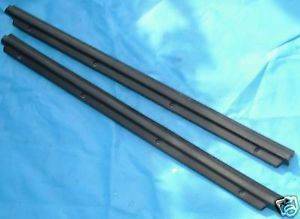 Description: Pair of door sills that go underneath the door. 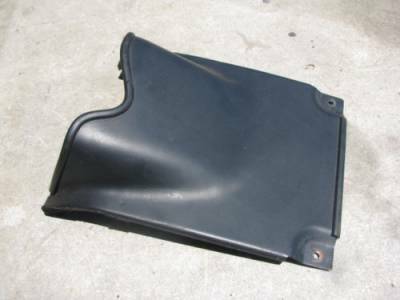 fits '90-'97 Miata. Comes in black, good condition. 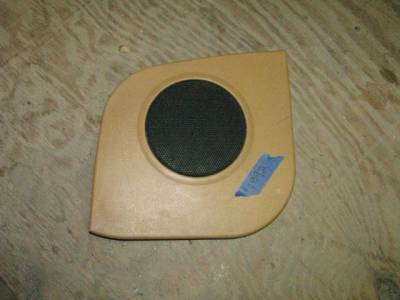 Description: Tan Speaker Cover fits '90 - '97. Please specify side. 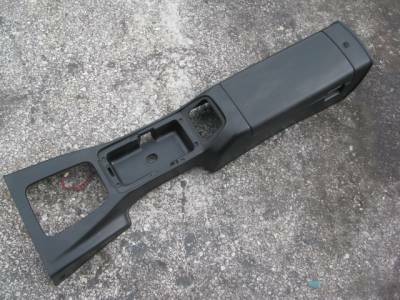 Description: Set of A Pillar Trim pieces. 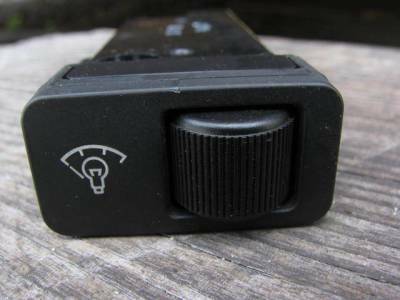 Includes both left and right side. 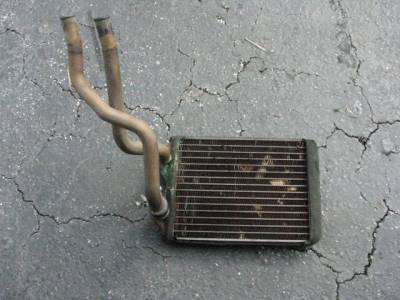 Description: Miata AC Blower in good conditions. Will fit all years '90-'05. 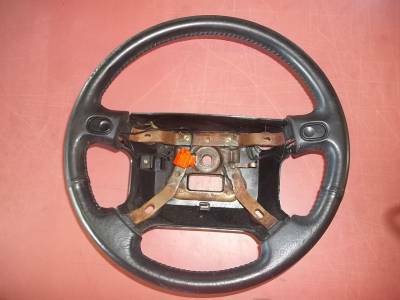 Description: Miata '90-'93 1.6 Driver's Side Airbag in good working condition. 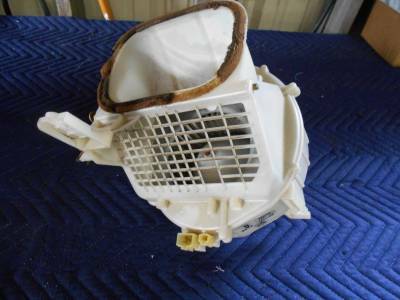 Description: '90-'97 Heater Core only, plastic housing not included. 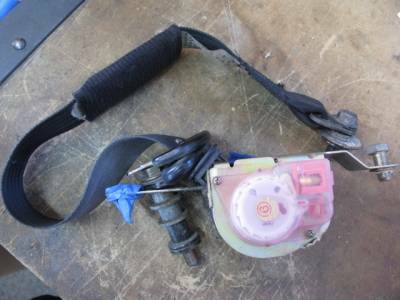 Description: Seat Belt Assembly for '94-'97 Miata in good working condition. Fits left or right side. Limited availability on both colors, please call/email for availability before placing order. 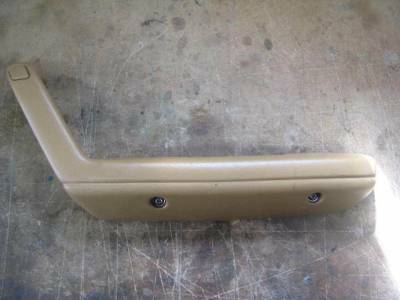 Description: NA Tan Knee Panel Trim, fits '90-'93. In good condition. Limited availability, please inquire about availability before placing order. 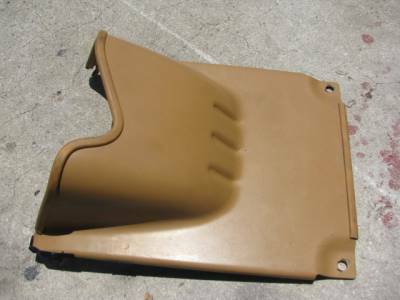 Description: NA Tan Knee Panel Trim, fits '94-'97. In good condition. 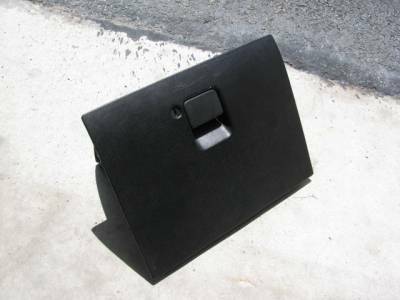 Black Knee Panels are limited supply, please inquire before ordering. 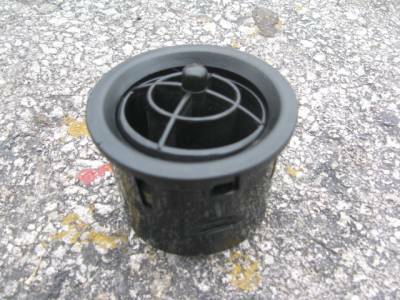 Description: This is the special edition eye ball for orienting your AC vents. Specify NA ('90-'97) or NB ('99-'05). 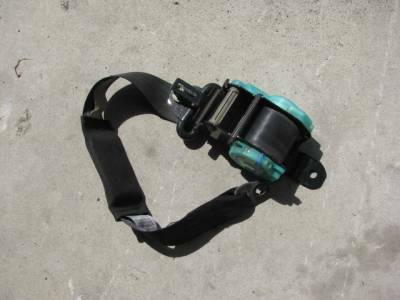 In good condition, replace these if your eyelets have become loose and flop around. 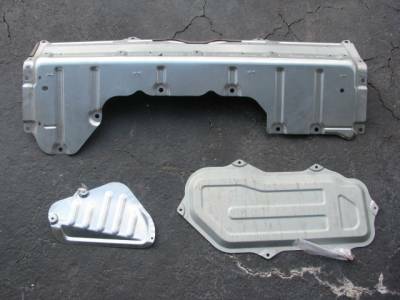 Please call/email before placing order to confirm we have your year in stock. 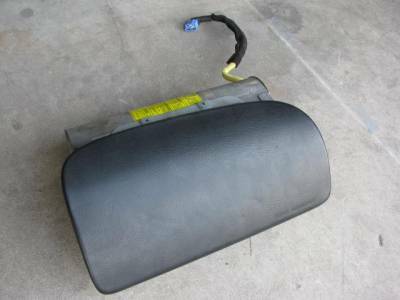 Description: Miata '94-'97 Passenger Side Airbag in good working condition. 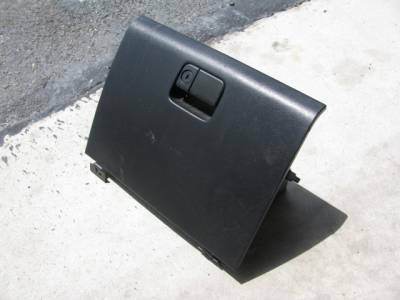 Description: 3 Rear deck tray panels, fits '90-'97 Miata. In good condition. 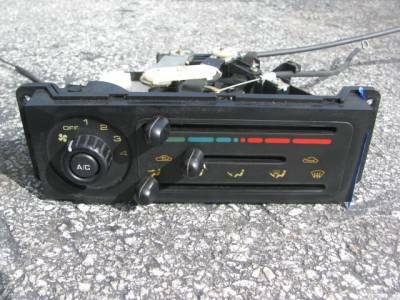 Description: Miata 90-93 Blue Jack Good Working Condition. Pics show slight rust. Limited availability, will substitute black in blue is not available. 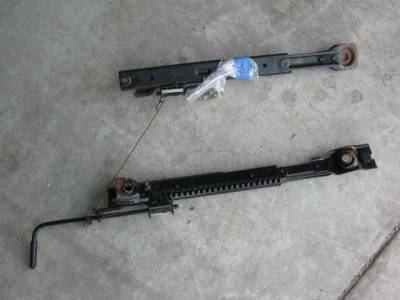 Description: Good Condition. 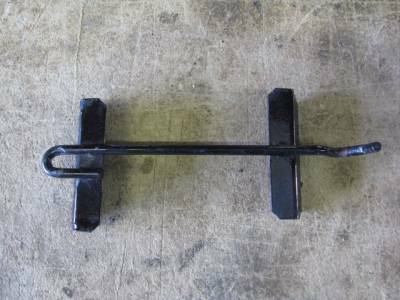 Will include handle if available. 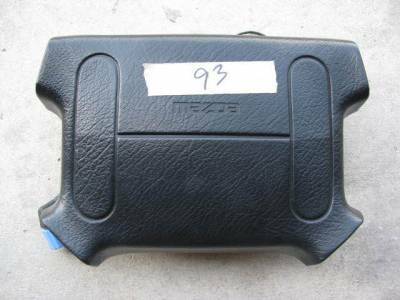 Description: Air conditioning control unit fits 90-97 Miata. In good condition, however there typically is some yellowing of the characters on the face. Sample picture shown, actual pics will be sent on request. Usually have a bad faceplate on them (scratched/yellow/faded etc) Please inquire for good condition units. 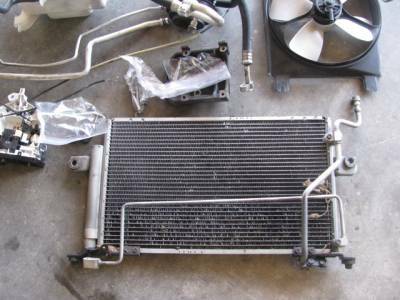 Description: AC Evaporator for 1990-1997 Miata. In good working condition. Limited availability on drivers side, please inquire. 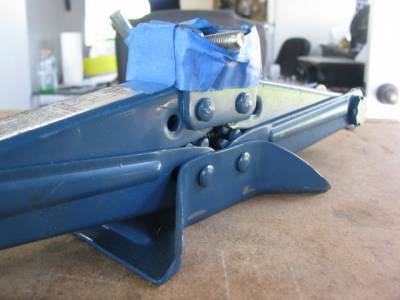 Description: 90 - 97 Battery top bracket. In good working condition. Limited availability, please inquire first before placing an order. 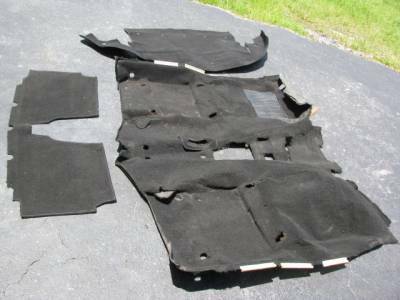 Description: '90-'97 Carpet set, 3 sections in black. In good condition. Note, there are subtle differences between 1.6 & 1.8 rugs (like the location of the ECU). We don't normally don't record the years of the carpet when we remove them. 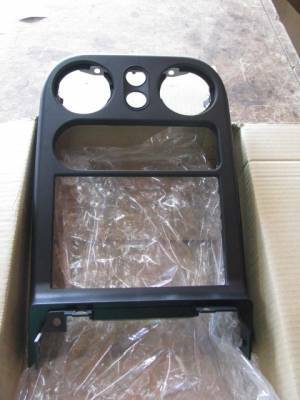 Description: Black Center Console for '90-'97 Miata. In good cosmetic condition. 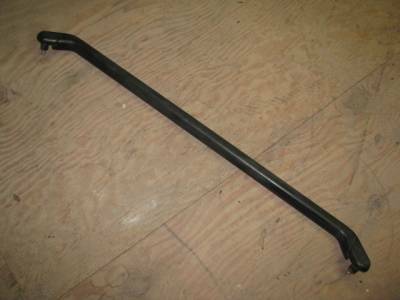 Sample picture shown, please inquire for individual part pictures. 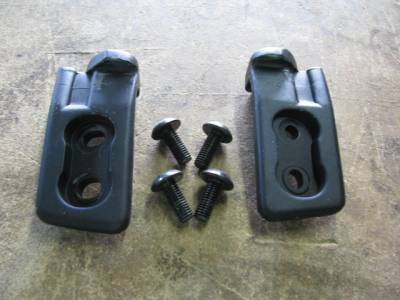 Description: Convertible Top Latch, passenger's side fits 90-05 Miata. Good working condition. 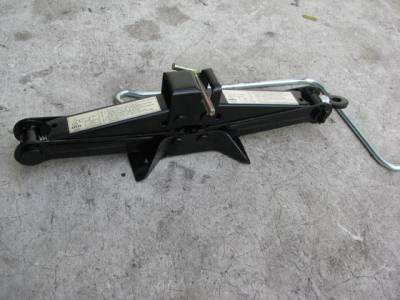 Description: Convertible Top Latch, driver's side fits 90-05 Miata. 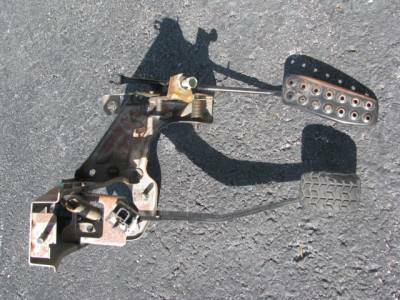 Good working condition, we check them to make sure they latch properly. 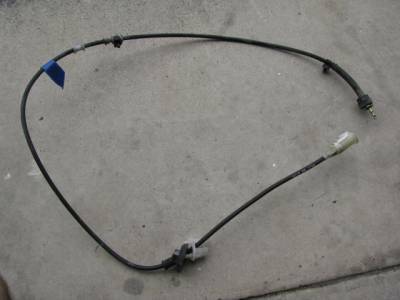 Miata 90-05 Convertable Top Stricker Set. 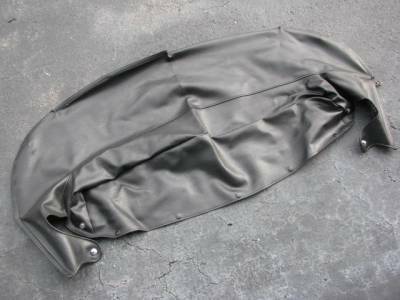 Description: NA Black Convertible Boot Cover fits '90-'97 Miata. In good condition. Sample Picture, actual pictures will be sent on request. 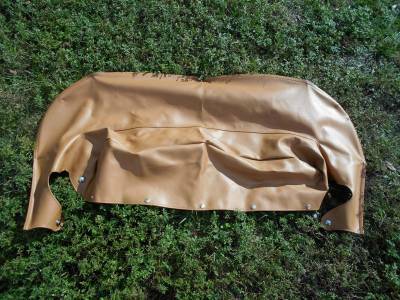 Description: NA Tan Convertible Boot Cover fits '90-'97 Miata. In good condition. Sample Picture, actual pictures will be sent on request. 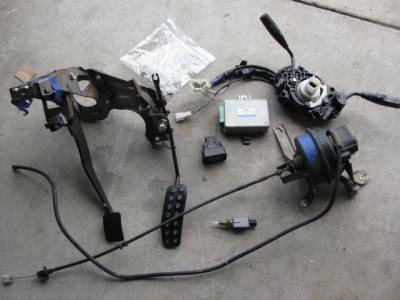 Description: This kit includes everything you need to upgrade your Miata to have cruise control. 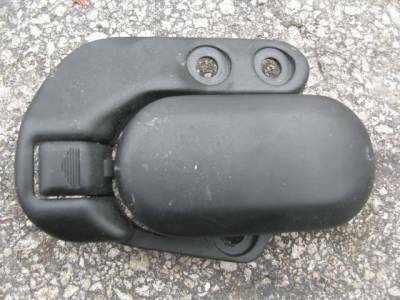 Description: NA Door Handle fits 1990-1997 Miata. In good working condition. Specify left or right side. 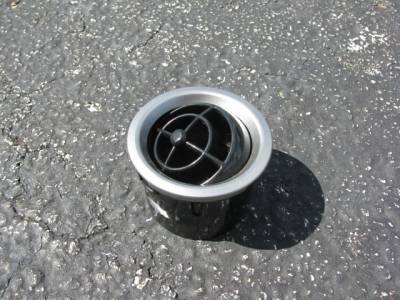 Description: This is the eyelet for orienting your AC vents. Specify NA ('90-'97) or NB ('99-'05). 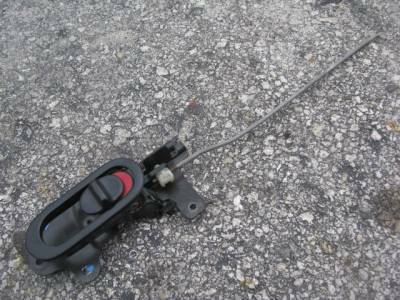 In good condition, replace these if your eyelets have become loose and flop around. 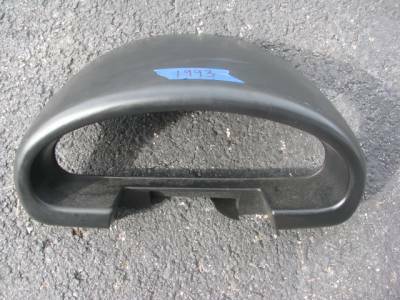 Description: Black Glove Box fits '94-'97, in good condition. 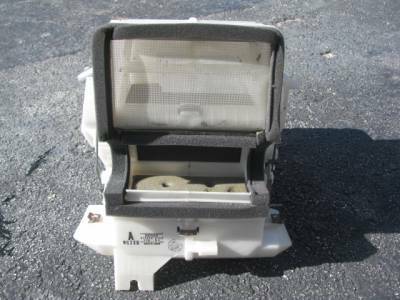 Description: Tan Glove Box fits '94-'97, in good condition. Sample pic! The one we send will be tan. 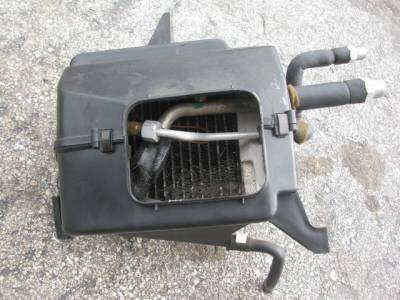 Description: Heater motor in good working condition, fits '90-'05 models. 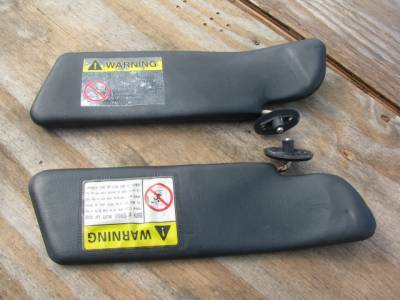 Description: NA Rear-view mirror fits 1990-97 Miata, in good condition. 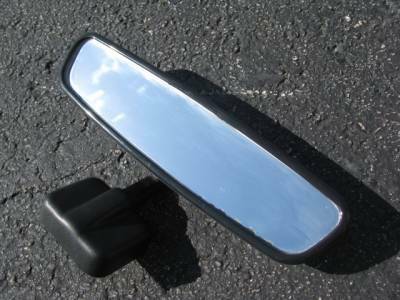 Limited supply on the mirror's that "attach to surround" Please inquire with us before placing your order. Currently back ordered. Estimate late spring of 2019 availability. 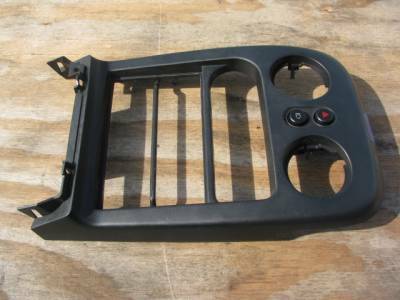 Our Mazda radio surround is only $13 more. Unfortunately Canadian customers will be subject to additional charges. Please contact us for a quote. 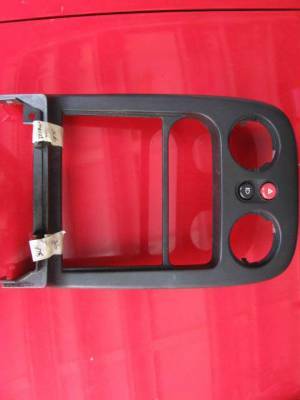 Description: 90-93 Mazda Miata Seat Belt Retractor, Fits left or right side. please specify interior trim color. Good working condition. 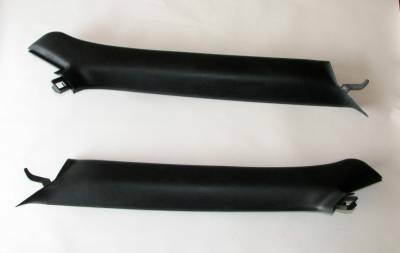 Limited availability on black belts, please inquire before ordering. 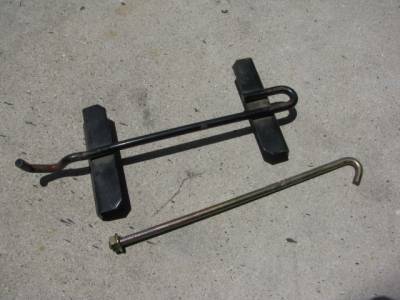 Description: NA Seat Rails fit '90-'93 Miata. 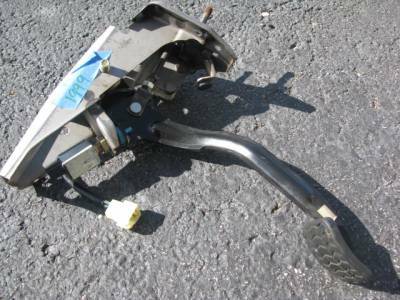 In good working condition, please specify driver's (Limited Availability) or passenger's side. 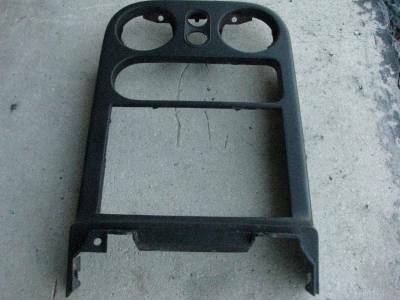 Description: NA Seat Rails fit '94-'97 Miata. 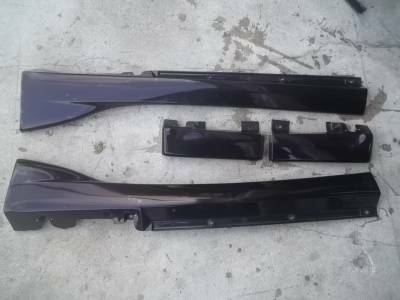 In good working condition, please specify driver's or passenger's side. 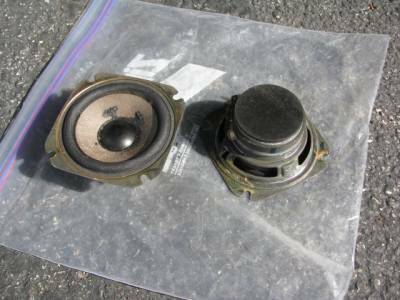 Description: Pair of speakers for seat head rest, fits '90-'97. In good working condition. 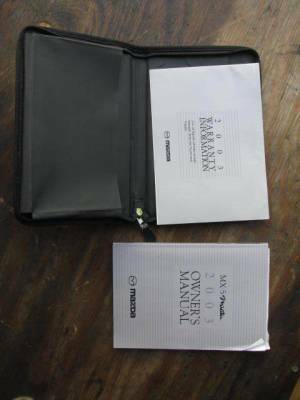 Sample pictures shown, approval pics will be sent upon request.